Many homeowners turn off their sprinklers and stop watering their lawns as soon as fall weather arrives, but keeping your grass hydrated through winter is necessary for a healthy landscape come spring. Lawn irrigation is one step in winterizing your yard, protecting it from freezing temperatures and dry soil. Following these tips when watering your lawn this fall will yield beautiful results when warmer weather arrives again. While your grass still needs watering this season, it requires less water than it did during the summer. Abruptly reducing the amount of moisture your lawn receives can be harmful. Instead, do it in increments, slowly cutting down to only one inch of water a week. You should continue watering your lawn until freezing temperatures arrive. Frozen soil prevents soil from absorbing moisture, so turn your lawn irrigation system off until above-freezing temperatures return. Fall is ideal for planting grass seeds and applying fertilizer to eliminate the bare spots in your yard. Keep those areas watered daily for at least three to four weeks after adding fertilizer or seeds. Installing a lawn sprinkler system, if you don’t already have one, can save you time and money while encouraging a lush, healthy lawn. Sprinklers are an easy way for busy homeowners to maintain their yard’s grass, but even the best equipment can fail over time. Before winter arrives, test all of your yard’s sprinklers. If even one sprinkler head fails, it can impact the health and appearance of your lawn, leaving sections of brown and dead grass. Sprinkler repair services are available year-round to keep your lawn irrigation system working efficiently. 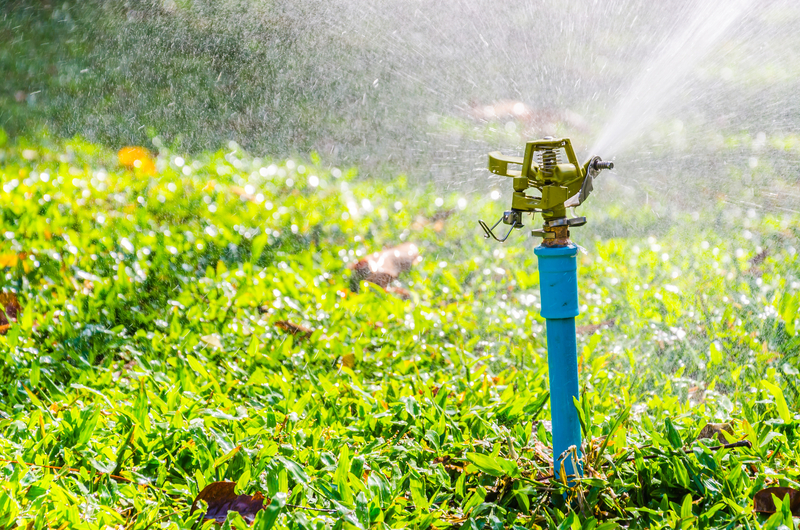 Whether you need a lawn irrigation system installed or sprinkler repairs, The Sprinkler Connection in Pittsford, NY, specializes in lawn sprinkler system installation, maintenance, and winterization. For over 30 years, they have helped customers in Monroe County and surrounding areas prepare their sprinkler systems for changes in the weather. Call (585) 398-3960 or visit them at their website to learn more about their lawn sprinkler services. Other Announcements, Events and Deals from The Sprinkler Connection Inc.
A. The Sprinkler Connection Inc.